CUQUIO CUQUIO 373 7965500 JOSE AYALA 110 CABECERA MUNICIPAL. GUADALAJARA OFICINA 2 33 36176460, 36185290 ABASCAL Y SOUZA 3436 ENTRE INDUSTRIA Y FEDERACION. JALOSTOTITLAN JALOSTOTITLAN 431 7460628, 7460654, 7462128 JOSE MARIA GONZALEZ # 64 EN LA PRESIDENCIA MUNICIPAL. LIMON EL LIMON EL 321 3730322 R. CAMACHO # 1 CABECERA MUNICIPAL EL LIMON. MAGDALENA MAGDALENA 386 7440187 EXT.17 HIDALGO 45 PRESIDENCIA MPAL. TEPATITLAN TEPATITLAN 378 7888700 EXT. 8751 y 8755 MORELOS 320 UNIDAD ADMON MORELOS/ ZONA CENTRO. TLAQUEPAQUE EL SAUZ 33 NO ISLA ZANZIBAR E ISLA MARACAS LOCAL DENTRO DEL MERCADO "TRIPLE A"
TOTATICHE TOTATICHE 437 9640008, 9640036 EXT. 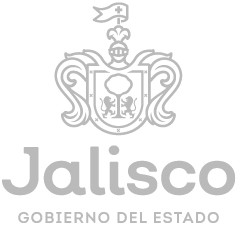 21 HIDALGO 37 PRESIDENCIA MUNICIPAL. ZAPOPAN ZAPOPAN 33 38182200, EXT. 1681, 1683, 1686, 1685 UNIDAD BASILICA 1 PISO CABECERA MUNICIPALA UN COSTADO DE BASILICA.